Phander Valley in Ghizer District is one of the most scenic valleys with easy access both from Gilgit and Chitral. 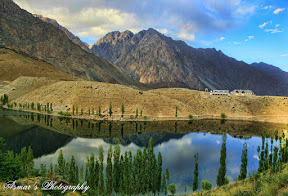 It takes 5 to 6 hours from Gilgit to reach Phander valley which is commonly called “Little Kashmir”. June 11, 2015, 11:21 a.m.